As thousands of Irish citizens living across the world return home to vote in the abortion referendum, many recorded their journeys on social media. Irish citizens will be voting on Friday on whether to repeal or keep the constitution’s eighth amendment. The amendment gives equal right to life for both the mother and unborn, effectively prohibiting abortion in most cases. Ireland’s voting system only allows postal votes from abroad in certain circumstances, so almost all of those eligible must travel back if they wish the cast their ballot. People eager to have their say from both sides of the debate have posted photos and comments ahead of Friday’s vote. Some came from as far as Sydney or Costa Rica. Still more are travelling from Europe. Many others hopped across the Irish Sea from the UK to make their voice heard. 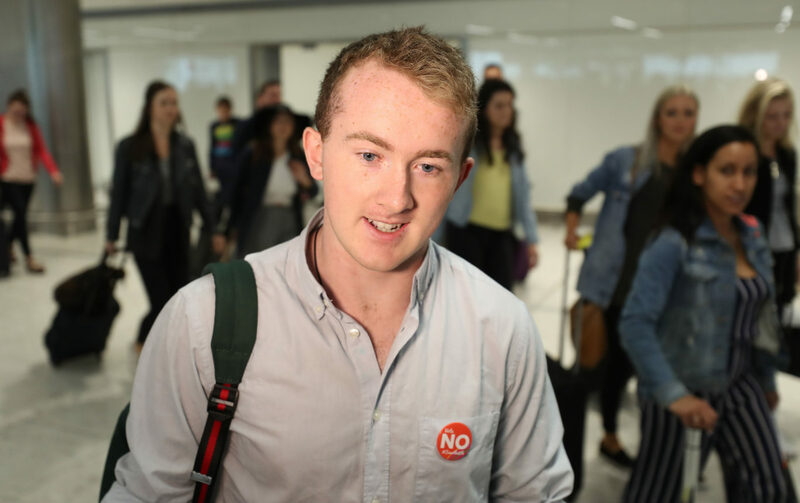 Others had assistance and support from their parents in their journey to vote Yes or No. Article 40.3.3, otherwise known as the Eighth Amendment, was voted into the constitution in 1983. Although abortion has always been illegal in the country, the 1983 referendum saw it enshrined in the constitution.